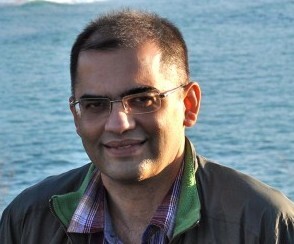 Self-drive holidays are gaining popularity, and outbound Indian tourists are gradually opting for self-drive packages. This is a great way of setting your own pace, choosing locales, familiarizing yourself with a new country, and seeing amazing landscapes and visuals. Australia, New Zealand, the UK, Ireland, Scotland and South Africa are most suitable for a first-time self-drive holiday for Indians. The primary reason is cars are driven on the left side of the road in these countries, just like in India. These countries also have well-maintained roads with clear international road signs. There are several countries where an Indian driving licence is valid for a certain period of time. In addition, an international driving permit is accepted by most countries. The latest smart card driving licence is valid in most countries. One only needs to ensure that the name and date of birth on the driving licence match those in one’s passport. Also, young, first-time drivers need to check for the minimum age requirement for self-driving in the particular country. Your travel consultant should be able to advise you on this. For unique landscapes with different characteristics, Italy, Switzerland and France can be exciting options. One of my favourites is the pristine little town of Nyon, situated on Lake Geneva, which is half way between Geneva and Lausanne, and set amid the vineyards of La Cote. As you drive through this town, you can see many excavations and sights from the times of the Celtic Helvetians and the Romans and from the Middle Ages. There are many ways to plan and execute your self-drive holiday and it is essential to follow certain guidelines. You should make sure your travel insurance covers you abroad, and that you map your travel route in advance in terms of time and distance. Verify the travel equipment you will need while driving and keep all necessary paperwork accessible. For winter travel, you should be prepared to carry and use snow chains in case you encounter heavy snow. Keep change ready for toll fares and be aware of border checks when entering a new country. Ensure your visas are up-to-date and check for multiple entry in case you cross a country more than once. It is a good idea to list an emergency contact on your hire form. Also, be informed of the driving etiquette in the country. While visiting wineries en route, ensure you drink within permissible limits or preferably do not drive. Rent a chauffeur for that day. Halt only at designated parking spots. Self-drive holidays are an interesting way to explore and discover a country. The next time you are planning an international trip, you could do a little homework about the country you are planning to visit and consider the best way to see it through a self-drive adventure. 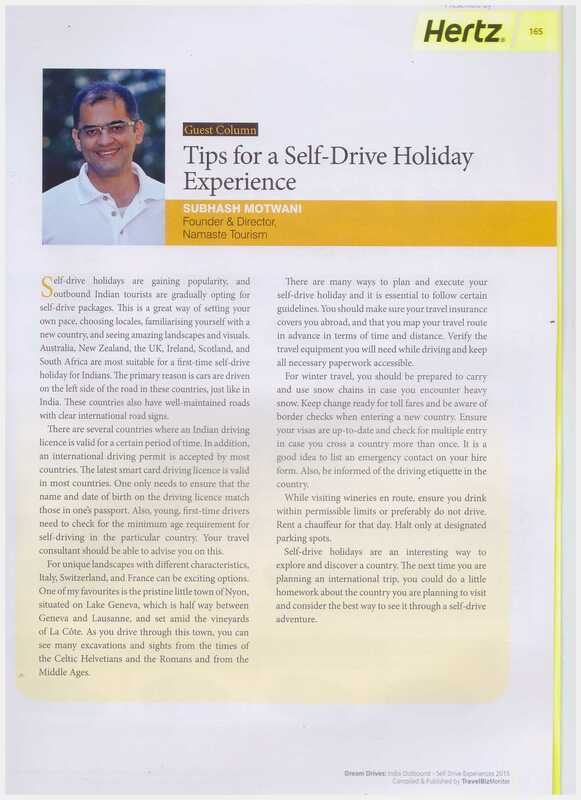 This article by Subhash Motwani (Founder & Director, Namaste Tourism) was published on page 165 of “Dream Drives: India Outbound – Self Drive Experiences 2015” which was compiled and published by TravelBizMonitor.